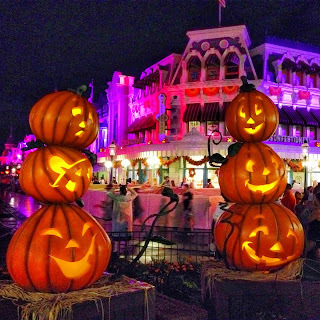 With that said, I will now write about our most recent Disney experience.... the Mickey's Not So Scary Halloween Party, which takes place every year at the Magic Kingdom. We attended the party with our friends Terri and Jaycie, which made the whole thing that much better! 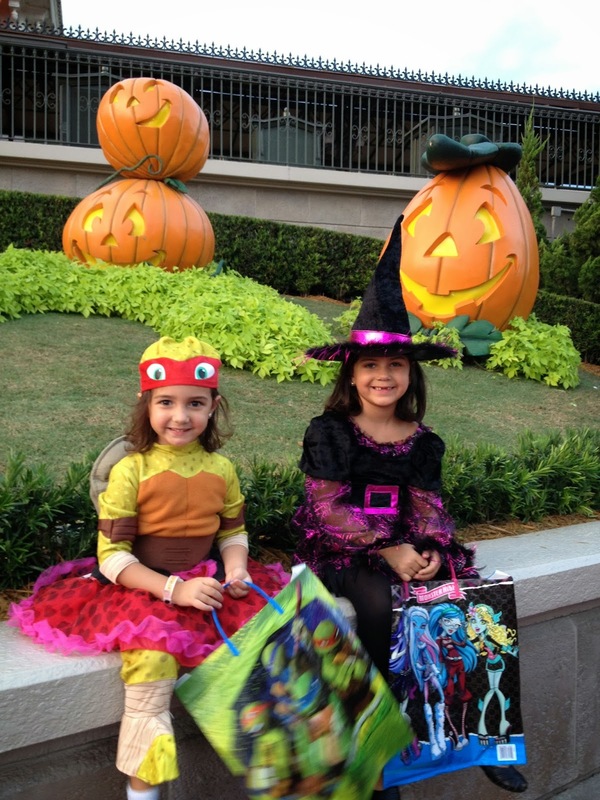 The girls picked out their costumes; Olivia dressed up as a spider witch and Gaby went as a Ninja Turtle (her idea, I swear!). 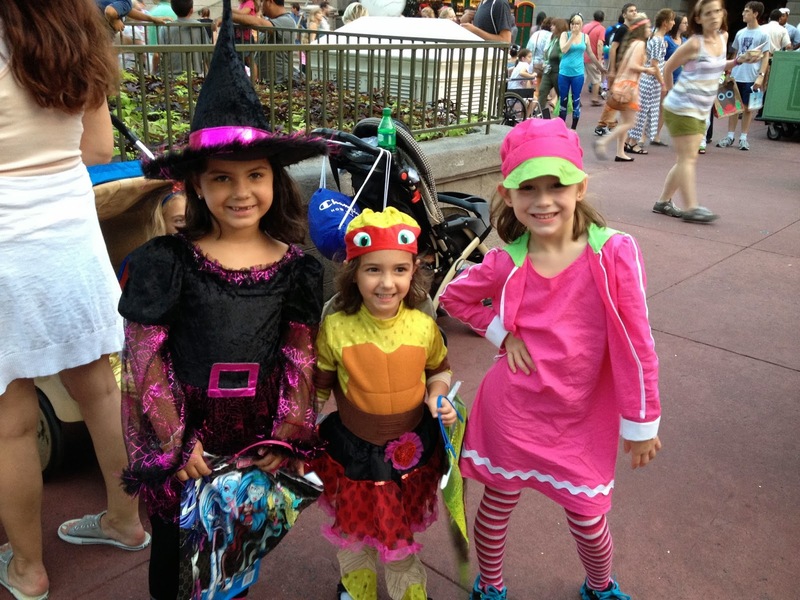 They walked around the park all proud of their styles...it was great! 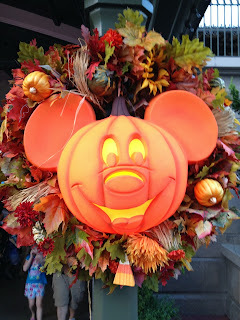 For those of you who have no clue what this celebration is about, I'll tell you a bit about it.. 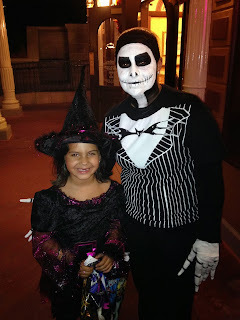 This is an exclusive event (separate from the daily park admission), celebrated on select nights (7pm to midnight) during the months of September and October, in which guests get to dress up in costumes, trick or treat around the park and watch special shows such as the "Boo to You Halloween Parade", fireworks and such. 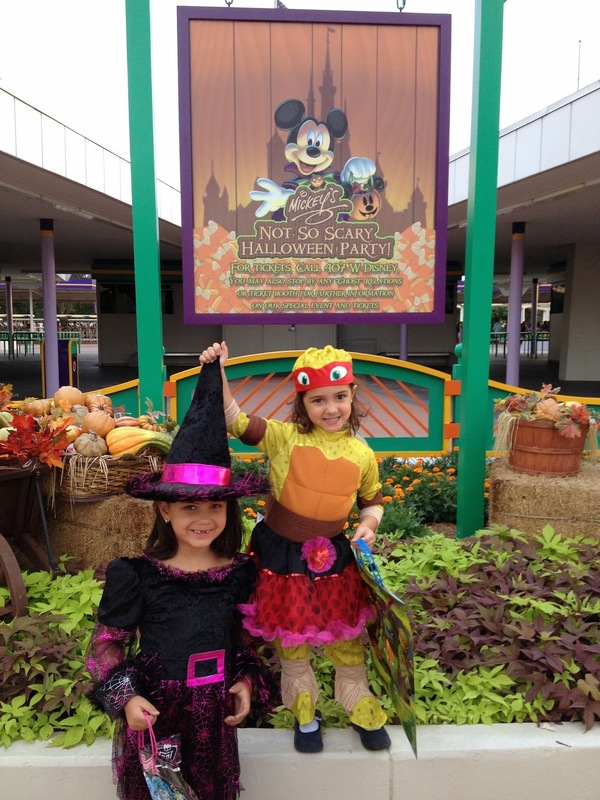 All rides are also open for guests to enjoy, so it's even more fun. 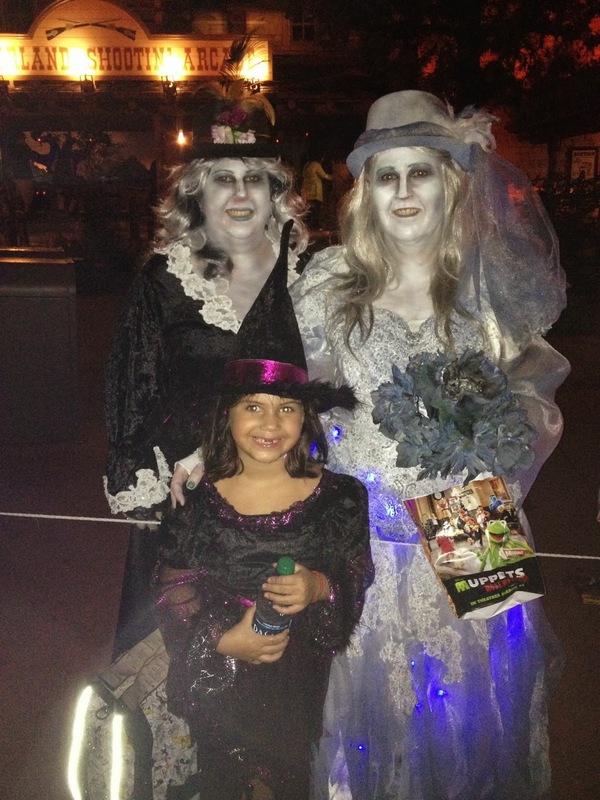 We loved seeing everyone with their costumes, the decorations around the park, the music, the whole ambiance.. everything was just great! 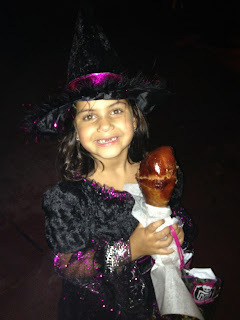 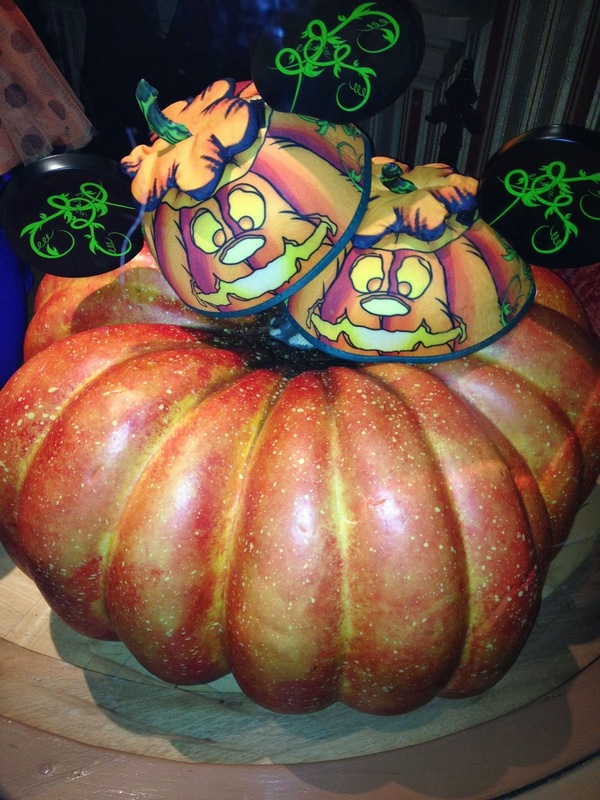 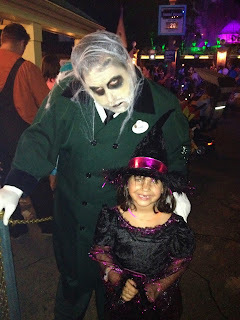 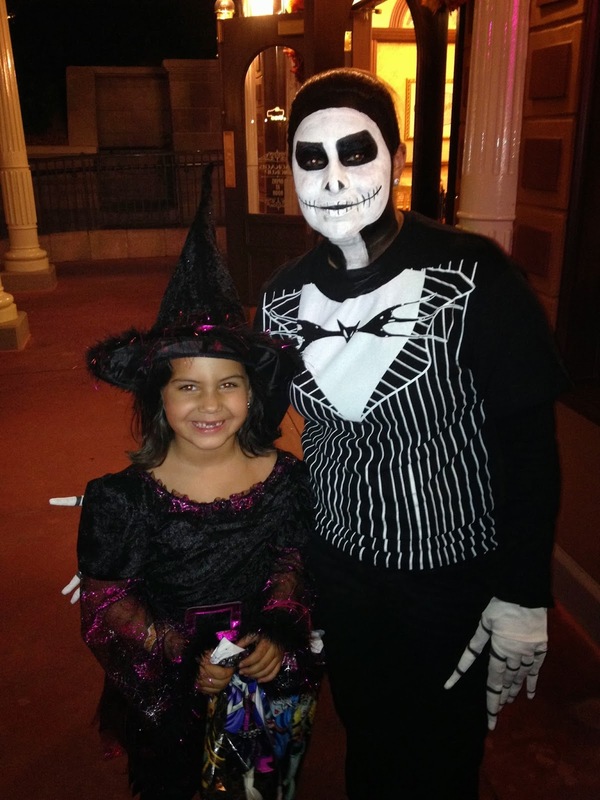 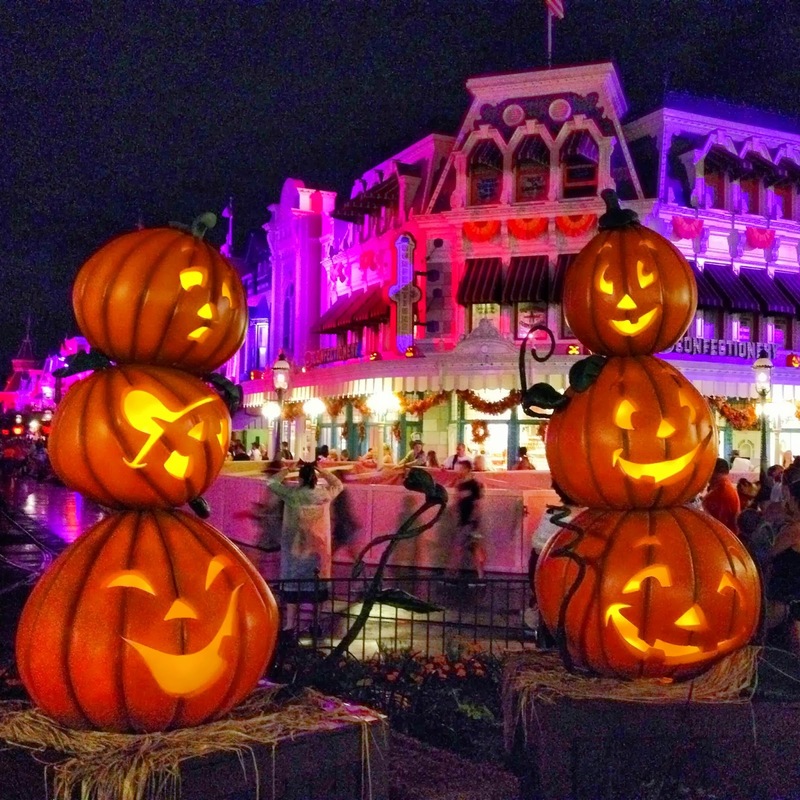 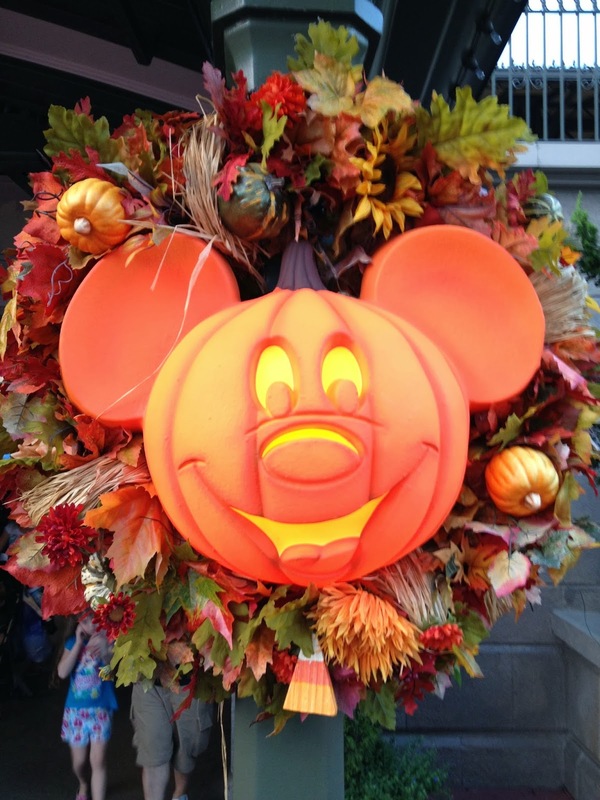 I think this is a great event for kids with an awesome take on Halloween; the kids get to enjoy a "spooky" holiday in a not so "spooky" way; families get to enjoy all the Disney fun with shorter wait times, decorations are beautiful, characters are diverse and well.. it's just another fun and genius Disney adventure! 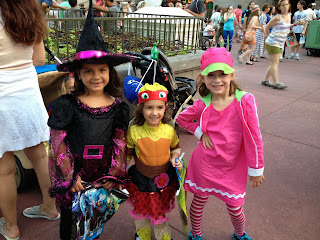 Lately... from a slacking blogger!